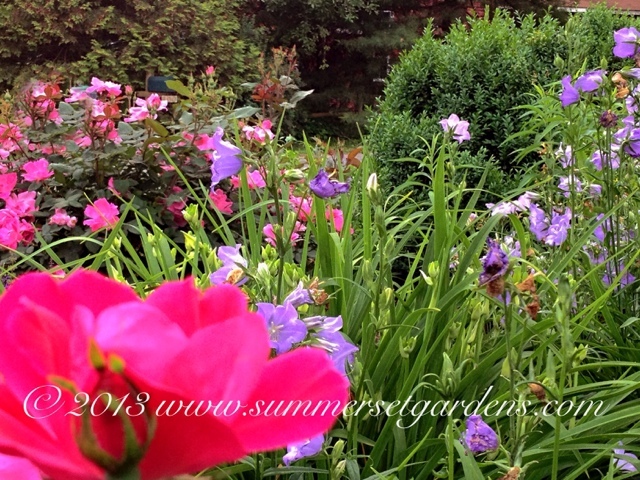 Garden Design: A closeup of a planting design in a Ny garden. A closeup of a planting design in a Ny garden. Pictured here are Boxwood, Roses, Daylily and Campanula. Earlier in the spring this area had groupings of Tulips. Garden design and installation services in the NJ and NY areas.